You found this page because you or your business is looking to improve your visibility on search engines within the Banbury and Oxfordshire area. SEO is the most effective method of reaching your perfect customer, allowing you to place your business and what it offers right in front of them at the exact moment that they’re searching, looking to buy your product or service. 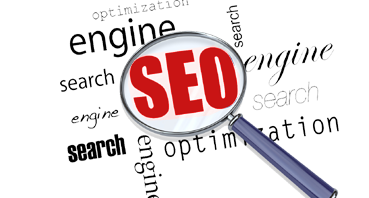 Organic SEO service looks at all the various aspects of your site to ensure the best results. It’s important to build any SEO campaign on a solid foundation. Businesses both large and small are beginning to understand the importance of sustainable visibility, good SEO practice and web content that’s relevant and valuable to real customers – not just algorithms. It is well advertised that anyone can create their own website using packages such as Wix or Weebly and as long as all you want is to refer people to them thats fine go ahead and save some money, or you could have your website professionally designed and search engine optimised and make some money. SEO is the process of improving your website’s visibility by increasing the number of keywords ranking within search engines. SEO greatly increases relevant traffic to your website. 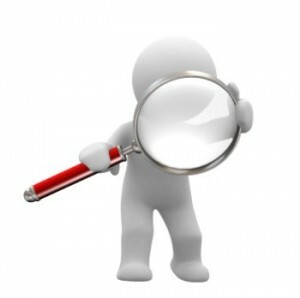 This is where Search Engine Optimisation (SEO) comes into play. It is the art/science of making your web site attractive to major search engines. Tweaking your web site will make it stand out from the crowd. Most of the search engine optimisation efforts are implemented at the web design level at the skeletal foundation of the web site’s structure. Results usually vary, so please remember it can take several months for your website to creep up the listings. While some SEO firms might guarantee you top 10 results, be vary wary of these claims as they are either false or attained using illegal methods that could possibly get your website banned from search engines for life! Organic website design will spend a lot of time, effort and most importantly your money designing your website, but if visitors are unable to find you online, all our efforts could be in vain. At Organic website design, we offer highly effective, very affordable SEO services to help ensure that your site gets ranked and listed on the major search engines. We will optimise your site’s Meta Tags using the latest search engine secrets to make it is search engine friendly, and submit your site to all major search engines to help build & attract a steady stream of visitors to your new website. Please contact Organic website design for a free consultation for your SEO requirements and objectives. Organic website design only use safe and tested search engine optimisation strategies that comply with major search engines guidelines and regulations. Web design and SEO design are not the same. Many web designers can make a visually attractive website, but what good is a beautiful website if no one ever sees it? Designing a website that looks visually appealing should only be one part to developing a professional online presence. In order to truly compete with your leading online competitors you need to have your site search engine optimised, and to achieve the full benefit of SEO it needs to be built in with your website at the very start, to establish a competitive internet marketing presence of your own. Examples of how SEO works within search engines such as Google and Yahoo. 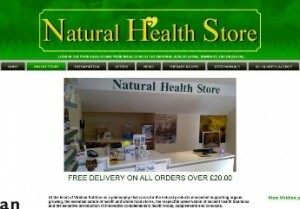 Below are a list of search engine keywords & their search results for the Natural Health Store, Banbury. • health store banbury. Please click either Google or Yahoo to see the SEO results for these keywords. • health store oxfordshire. Please click either Google or Yahoo to see the SEO results for these keywords. • natural health store. Please click either Google or Yahoo to see the SEO results for these keywords. 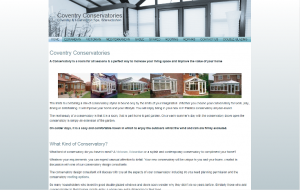 Below are a list of search engine keywords & their search results for Coventry Conservatories. • conservatory coventry. Please click either Google or Yahoo to see the SEO results for these keywords. • conservatory leamington spa. Please click either Google or Yahoo to see the SEO results for these keywords. • victorian conservatory coventry. Please click either Google or Yahoo to see the SEO results for these keywords. These are just a couple of examples of how SEO works, it is the keywords that are optimised to get you found i.e conservatory coventry or health store oxfordshire. An optimised website will show in the organic listings (they are listed for their natural keyword content and not paid for) usually the first 2-4 places on the search page are paid for advertisements. Just because you have keywords that are relevant to your website does not necessarily mean it will show up, it will need SEO work done to the site first.